Maciek Granicki, senior mobility consultant, Gijima. The concept of mobility is something that permeates almost every discussion on the future of technology in the corporate space. Along with digital transformation, cloud and security, it's impossible to have a discussion about one without the others coming into the conversation. This was the case at a recent Brainstorm roundtable, where the topic of conversation, enterprise mobility, shifted back and forth and included all the other three topics. There is, however, a good reason for this. No technology solution stands alone today; the days of being able to roll out a system without it leveraging other technologies and being part of a much larger business strategy are over. Mobile, more than most, has the ability to reach past the traditional borders of corporate IT and nowadays forms the heart of many companies' engagement with their customers as much of this now takes place through the medium of the web or smartphone apps. A bigger challenge is understanding when and where the workforce of a company can be mobilised and when this plays into a strategy that delivers real benefits to the company and when it is simply following the crowd. Paulo Ferreira, director of Enterprise Mobility at Samsung Electronics South Africa, says the question is not if the CIO should be looking at the mobile workforce, but can you avoid empowering the employees within the workforce? "This inevitable question, however, kicks off a plethora of challenges that the organisation will have to address. These include who owns the devices that the employees are using, who owns the data on the device, and how are policies and security implemented." Lauren Timmer-Somer, head of Communication & Technology Services at Ricoh SA, adds thatthe issue is not only when companies need to move, but they need to have an understanding of why they are doing it. One reason is the necessity to attract and retain talented staff. "We are seeing that the whole business environment is changing and we have three generations in the company, generations X, Y and Z. The younger generations, especially those who have just graduated, are already insisting that their companies give them mobile functionality. They don't want to sit behind a desk, and given that research indicates that the average worker will soon be spending more than 60% of their time away from their desks, the IT department will have to facilitate this. However, the important element is not the hardware or the software, but rather the understanding by the company of what it needs to do to futureproof itself." The younger generations, especially those who have just graduated, are already insisting that their companies give them mobile functionality. Jan Roux, CIO at Integr8, says that a recurring theme is the drive coming from younger generations, but often the drive from the users and the business drivers are not aligned. "We see IT companies and younger users are pushing mobility, but there isn't a use case that they can take to the CIO or CFO. This is where IT companies tend to fall down because they struggle to sell on the business benefits rather than the technology benefits. A good example of this is cloud computing, which has taken years to take off because there wasn't really a business justification and this made it a tough sell." 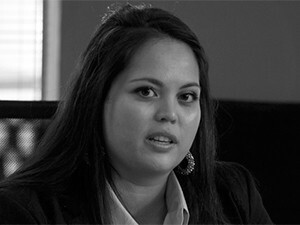 Lillian Serobatse, Solutions sales lead - Modern Workplace, Microsoft South Africa. 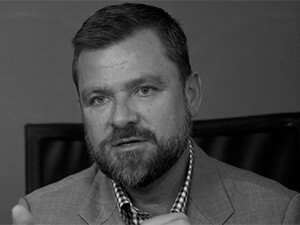 Chris Buchanan, client solutions director at Dell South Africa, comments that companies need to first understand what they want to achieve with their mobile strategy. "Paulo spoke about empowering employees, but it's actually about making them more productive. You need to understand the role you are trying to get them to play in the organisation and how you can enable this with technology. "If they spend more than 50% of their time outside the office, you need to equip them with a laptop. Also, everyone has a mobile phone and this brings the Bring Your Own Device question into the reckoning." He adds that many of the key questions being asked are around the issues of corporate data and security and the protection of the company's intellectual property (IP). "There is a level of paranoia about the IP inside organisations and that needs to be resolved before the discussion around mobility can be done properly." Neil Cosser, Identity & Data Protection manager for Africa at Gemalto, says that while there are problems that need to be resolved, a key issue facing companies is where they have deployed mobile solutions without the strategy to support it. If you roll out mobile solutions 'by accident', IT departments will end up responsible for the infrastructure created by the proliferation of Shadow IT. "If you roll out mobile solutions 'by accident', IT departments will end up responsible for the infrastructure created by the proliferation of Shadow IT. Mobility has created a challenge that the IT department may not have the ability to manage. The result of this is that CIOs end up trying to put the brakes on deployments, often by implementing fairly draconian measures that don't solve the real issue they are facing. A lot of organisations face the challenge that they don't know how to solve the problem so they throw blunt instruments, like restricting the rights of the users, at the problem, rather than embracing mobility as a strategy." Gerard Sofianos, MD of Britehouse Mobility, believes that when it is done properly, mobile can be a truly transformative step. "We have a client that is in the office automation business and they have 300 technicians who are seeing clients all the time. The head of the team was convinced that mobility was the solution to the problem caused by the technicians having to come back to the office every three days to do paperwork. Those three days add up to 12 hours a month of dead time per technician. Approaching it from this perspective meant that the benefits were already quantified as it improved the productivity of a key business team. 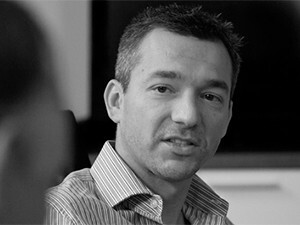 Anthon Muller executive for Enterprise Mobility, Vodacom Business. "Although that element is relatively easy to justify, it doesn't mean that implementation is simple. Key issues that had to be addressed included how do you mobilise the process and get sign-off directly on the mobile device? How do you integrate it into the existing back-end systems? Some areas remain difficult to quantify, but in other areas, there are substantial business benefits and deploying a mobile solution fills a void in the organisation and delivers almost instant return on investment." Anthon Muller, executive for Enterprise Mobility at Vodacom Business, points out that digitisation and mobility are only going to become more prevalent in corporates, and in those environments, questions will always be raised around ROI. "Many solutions that we have deployed are line of business applications and business needs to look at what they want to mobilise. You are not going to mobilise everything, but there are certain areas that are easier to deliver than others. You need to ask who the end-user is and how do you want to approach it, but 90% of the time, the innovation comes from the line of business units rather than from the IT department." 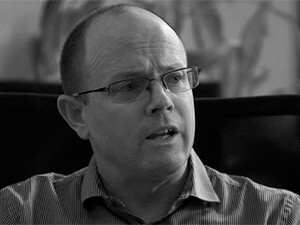 Neil Cosser, Identity & Data Protection manager for Africa, Gemalto. Lillian Serobatse, Solutions sales lead - Modern Workplace at Microsoft South Africa,adds that when you're looking at innovation in the context of traditional IT, a lot of time and resources is spent maintaining legacy systems. This left the IT team with no room to innovate, but with the emergence of cloud services, things have changed. This means that a systems administrator who might have spent an entire day monitoring a server no longer has that function. Now we must ask how that individual might be repurposed to drive innovation. Cosser adds that the innovation will come when organisations start redefining the process and re-architect processes rather than just digitising them. "Those people that have been overtaken by technology can be an engine of innovation if they are included in the process. It does require time and some sort of mentoring, but they can be taught to drive innovation inside a company." Serobatse comments that part of the success of large organisations in the mobile space comes from the ability of these organisations to change. 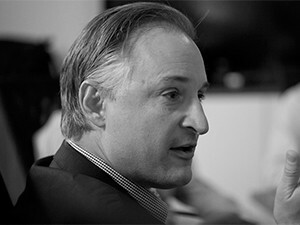 Gerard Sofianos, MD, Britehouse Mobility. "If you take away all of the physical infrastructure, then they often don't know what is left for them to do, as well as leaving uncertainty around managing and monitoring all the new system that may not be located locally. In addition, security plays a critical role in the deployment of new systems and processes. I have seen a shift in large organisations, especially in relation to digital transformation. When they are asked if they have a digital transformation strategy, everyone says yes," she says. "They are, however, at different levels and some are further along than others. In the highly competitive environment we operate in, a business cannot afford to be less agile than its competitors. The ability to enable your employees to be responsive, reachable, contactable and able to work from whatever device is at hand is what is giving leading organisations the edge." 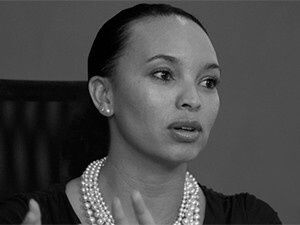 Lauren Timmer-Somer, head, Communication & Technology Services, Ricoh SA. Roux adds that unless there is a real driver, companies are resistant to change. "An example is some companies have seen that they need to change or they'll go out of business. As ICT companies, we need to show them where the roadmap should be or they will end up in a crisis management mode all the time." Maciek Granicki, senior mobility consultant at Gijima, says that experience has taught them that it was not simply a matter of taking an existing process and digitising it. "The beauty in mobile is that it is iterative and it allows you to do incremental changes and learn quickly what is working or not. This is where the idea of the minimal viable product comes to the fore as it is possible to use feedback from the consumers to further move the project forward. Companies need to remember that they are not being compared with only their own products, but with the services being offered by their competitors and even companies that are not their competitors. Consumers ask, 'If one company can do something so well, then why can't another?' And it doesn't matter if the companies being compared are even in the same sector. If the quality of service is great in one sector, the consumer will expect that level of service across all their interactions." 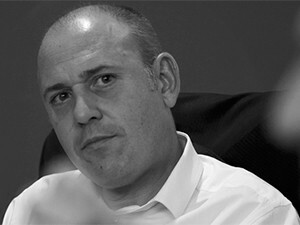 Paulo Ferreira, director, Enterprise Mobility, Samsung Electronics South Africa. Sofianos agrees: "When you look at digital transformation, it has to be a philosophy, including the platforms and the infrastructure that all need to be in place. This allows companies to iterate rapidly and eliminate the lag that has traditionally been part of the process. The minute those layers are in place, it's actually easy to put together a minimum viable product and then you can test it and iterate it and have it ready for deployment. That is how companies like Amazon work. It's not about building the whole landscape and then standing back, it's about the continual evolution of solutions, thinking about innovation, testing ideas and either taking them forward or moving on to something else. This is where the future is going."